Fire prevention is no exception when it comes to ensuring that all facets of safety are considered at a mine site. According to an August 2018 report from the New South Wales Resources Regulator, fire breakouts on mobile plant in the state have risen in the past decade. Sometimes referred to in industry parlance as ‘thermal events’, 203 fires were reported at mine sites in NSW between September 2014–May 2017, a rate of around six per month. This average was double that of data collected between 2001–2008, when NSW recorded an average of three fires a month. 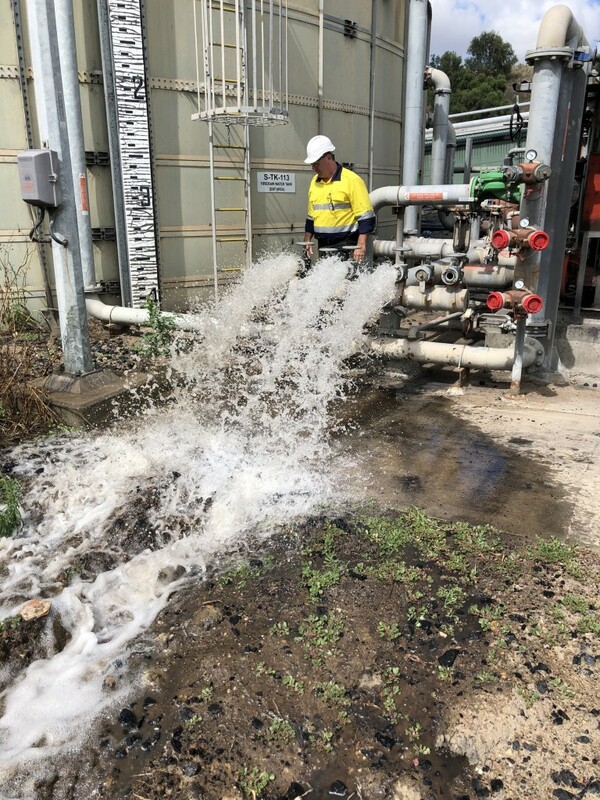 Fire Investigation and Safety Compliance Australia (FISCA) manager Chris Hughes has worked extensively on mine site fire audits that comply to exacting Australian Standards, even when working overseas. “We basically go in and do an exhaustive onsite analysis of all their installed fire equipment,” Hughes tells Safe to Work. Led by Hughes and colleague Morgan Cook, fire investigator and FISCA owner, the team counts mine site fire safety among its specialities. FISCA’s checks include audits, fire safety studies, fire cause and origin analysis, and bushfire assessments. Some sites use fire suppression teams that miss minor details during inspection that FISCA has been trained to pick up. Having an independent person view the inspection sometimes reveals other issues. Fixed and mobile plant are particular areas for concern and a primary cause of mine site fires. When visiting a mine in Mauritania in northwest Africa, FISCA carried out checks on haul trucks, shovels, drills and various other mining vehicles. The company found a typical problem was that the installed fire suppression systems on the vehicles had their nozzles facing the wrong way. This was particularly evident around the vehicles’ exhaust systems and turbochargers; sometimes grease and oil leaked into these areas, exacerbating the risk of fire. “If the fire suppression nozzle is pointed away from those areas, especially if you have oil or grease or anything like that near them, the extinguishing system isn’t going to contain the fire,” Hughes explains. The other issues commonly include trigger wires not being in the right place, and manual activation buttons not being within easy access for staff. FISCA recommended foam extinguishing agents on each side of the Mauritania site’s haul trucks to help protect the vehicles and limit the spread of fire should an incident occur. These foam-based extinguishing systems not only extinguish the fire but also cool down the equipment for cases where the driver needs to go past the engine to escape. The equipment will be a lot cooler, which lowers burn risks. “Everything that we look at is to reduce the risk of being injured,” Hughes says. “With severe fires, there’s a risk of explosion that goes along with it, so we’ll look at the extinguishing systems’ ability to mitigate the risk of items that would be included in a fire such as exhaust systems, turbo systems or oils. Another factor that slows response times is poor visibility. Usually, operators of mobile plant are in relatively high positions with a good field of view for working conditions, but it is not necessarily convenient for prompt fire detection. “Unfortunately if they have a fire or a thermal event happen it’s normally underneath them — without that extinguishing system actually going off there’d be no way to actually know they’ve got a fire going on,” Hughes says. The type of mine involved can also be a factor. Hard rock mines push equipment hard, leading to higher risks of failure, while coal mines present an increased risk of fire. Underground mines have adapted to these risks by increasingly adopting electric or hybrid vehicles in recent years. Underground operations generally pose the highest risk due to the issue of fire spreading. Mobile plant fires in open pit mines tend to be relegated to the area around the equipment in question, but this isn’t the case underground. FISCA aims to make sure mine sites are able to pre-empt these risks to limit or even eliminate the risk of such thermal events.